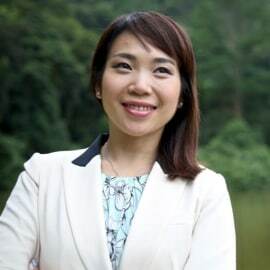 Ms Herry Cho acts as a linking-pin across products and client relationship management at a global bank, providing integrated, multi-product capital structuring and advisory solutions to corporate clients. Her team advises senior management in the context of today's volatile economic backdrop, which requires constant strategic review and balance sheet optimisation for scenarios such as mergers & acquisitions, restructuring, deleveraging, and funding cost optimisation for international businesses. Ms Cho integrates her second hat as sustainability lead for Asia. She has successfully implemented and deployed cross-product projects to: 1) Support the firm's own sustainability, 2) Enable and finance corporate clients' sustainable transitions, and 3) Raise awareness and bring together various Financial Insitutions active in Asia to fund sustainable projects (Sustainable Finance Collective Asia - www.sfc-asia.com).